In some cases customers may be looking to purchase more than one unit of an out of stock product. 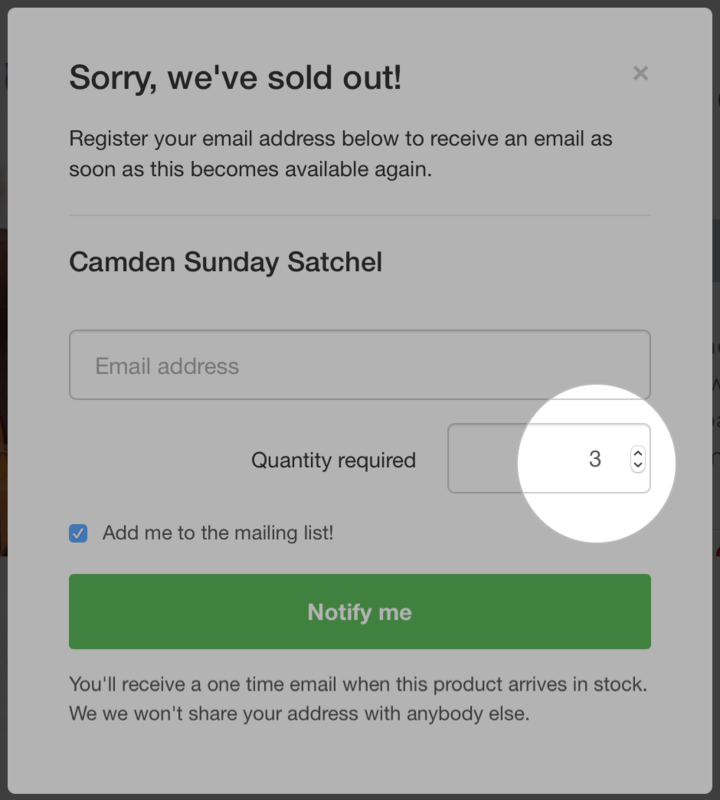 To help communicate this to your store you can enable the Quantity required field in your notification form. Your customers can enter the number of units they are waiting to order, and you can better gauge the demand for the out of stock item. The quantity field can be enabled from Widget Settings by enabling Show quantity field. The quantity field will be checked when the customer attempts to register a notification. If the quantity entered is not a number greater than zero (0) an error message will be shown. The error message, and the label for the quantity field, can be edited from your account under Language settings. The quantity required field is available on accounts subscribed to the Small Business plan or higher.